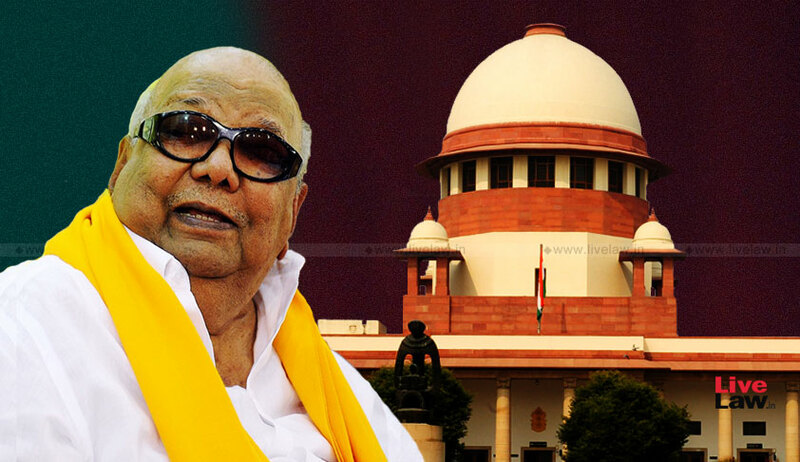 The case, M.Karunanidhi v Union of India decided by the five-Judge Constitution bench of the Supreme Court on February 20, 1979, is a landmark case. The constitution bench comprised of Justices Syed Murtaza Fazalali, Y.V.Chandrachud, P.N.Bhagwati, N.L.Untwalia and R.S.Pathak. The unanimous judgment of the bench was authored by Justice Fazalali, who was incidentally, the first Judge to join the Supreme Court from the Jammu and Kashmir high court, and also the son of Justice S.Fazl Ali, who was one of the earliest Judges of the Supreme Court. The case pertained to Karunanidhi’s first term in office when he allegedly abused his official position as the chief minister in the matter of purchase of wheat from Punjab. After his Government was dismissed during the Emergency by the Indira Gandhi Government at the Centre, a First Information Report was recorded on June 16, 1976, and four months later sanction was granted by the Governor of Tamil Nadu for his prosecution under the IPC and Prevention of Corruption Act. He was accused of deriving pecuniary advantage to the extent of Rs.4 to Rs. 5 lakhs from a businessman for passing favourable orders in respect of some firms. The Special Judge first dismissed his application for discharge from the case. The Madras High Court too rejected his plea but granted leave to appeal to the Supreme Court. Karunanidhi’s argument was that the Central Acts, under which the Special Court directed his prosecution, stood repealed due to the enactment of State Act in the same field, which secured President’s assent. The State Act, enacted during his tenure, however, was repealed subsequently during his successor, MGR’s regime. Karunanidhi contended that the Central Acts, which stood repealed due to the enactment of the State Act, could not revive themselves even after the repealing of the State Act. The Central Acts, he argued, had to be reenacted afresh. Crucial to Karunanidhi’s contention was that the State Act, enacted during his tenure, was inconsistent with the Central Act, and therefore, the latter stood repealed by implication, because President had given his assent to the State Act. The second limb of Karunanidhi’s argument was that even if the Central Act was not inconsistent with the State Act, he could not be prosecuted under the former, because as chief minister, he was not a public servant, who alone could be prosecuted under the Central Act. As chief minister, there was no relationship of master and servant between him and the Government, and as he was a constitutional functionary, could not be described as a public servant as contemplated by section 21(12) of the Indian Penal Code, he contended. Karunanidhi, represented by senior counsel, K.K.Venugopal, relied on the doctrine of repugnancy to buttress his argument that the State Act would prevail over the Central Act in the state, if the former had obtained the assent of the President, under Article 254(2) of the Constitution. The Supreme Court, however, rejected the argument on the ground that there was no irreconcilable inconsistency between the State Act and the Central Acts, and the question of one prevailing over the other, therefore, did not arise. Both the State Act and the Central Acts could operate in their own fields, as they dealt with different offences, without conflict, the Court found, substantially agreeing with Madras High Court’s findings. On the second issue, Karunanidhi relied on the phrase ‘in the service or pay of the Government’ used in sub-clause (12a) of Section 21 of IPC to argue that it clearly connoted the relationship of master and servant - a relationship which is completely beyond the concept of the position of a Minister or a chief minister. The Supreme Court, however, relied on the second part of the sub-clause 12a of Section 21 IPC, namely, “in the pay of the Government”, to hold that it is of much wider amplitude – so as to include within its ambit even public servant who may not be a regular employee receiving salary from his master. Therefore, the court held that a Minister or a chief minister would be clearly covered by the expression ‘person in the pay of the Government’ in much as they receive their salaries, remunerations or wages from the Government. While Karunanidhi lost this case, the conclusions the court arrived at to resolve it, continue to be cited to date, as they remain valid precedents in law.